Successfully Added 12.1-inch with 4:3 Display Roof Mount TFT-LCD Monitor to your Shopping Cart. 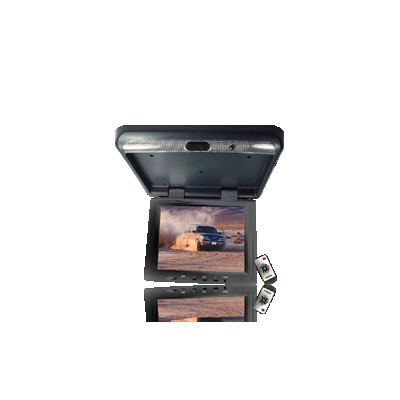 12.1 Inch TFT LCD roof mounted monitor with 4:3 aspect ratio display and an attractively low wholesale price, perfect for any person's budget. With dual video input for connecting up to 2 separate devices such as a car DVD player or a video gaming system such as a PS2, passengers in the back of the car will be blasted away by the sharp 1024xRGBx768 500TV lines resolution. Make your car a supped up ride at a price that won't break the bank with this Chinavasion roof mounted monitor..